Mission:Inspiring our people to take small everyday actions that add up to delivering maximum value to all our stakeholders whilst operating in a manner that is safe, quality driven and environmentally sustainable. Vision:To be the leader in the production and retailing of vegetable oil making us the foremost consumers’ choice in the markets we play in. Address:2 Alapata Road, off Dockyard Road, Apapa, Nigeria. 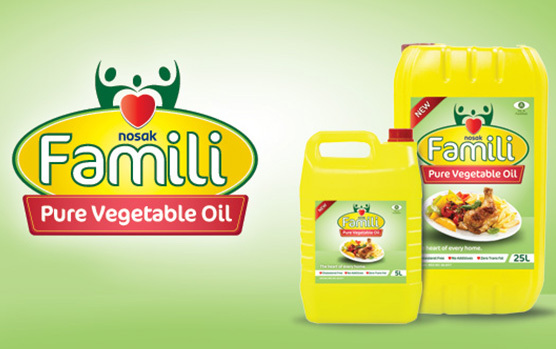 The concept of Nosak Farm Produce Limited as a vegetable oil refinery started with the need to optimise the 1,300 hectares of oil palm farm at Saturn Farms Limited (Nosak Farms) located in Benin which had an estimated fresh fruit bunch of 105,882 per annum. The farm had a crusher which could process oil palm into crude palm olein and the plan was to build the vegetable oil refinery on the farm. Further research however revealed that the oil palm from Saturn Farms Limited would not be sufficient to feed the vegetable oil refinery thus it became evident that additional crude palm olein would be required as raw material for processing at the proposed refinery. This led to the search for a suitable location with good access to the port and access to raw materials. The construction of Nosak Farm Produce Limited thereafter commenced in December 2010. Nosak Farm Produce Limited is a 200 tonne capacity fully automated vegetable oil refinery with 12 tanks measuring 2.7 million litres. 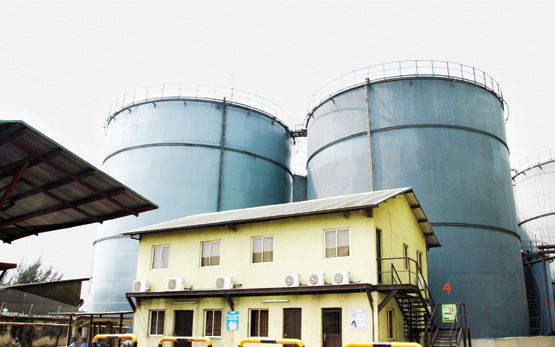 It is strategically located at Apapa with a 3 kilometer pipeline from ABTL to Alapata to Waziri Jetty. Nosak Farm Produce Limited recently acquired additional 16,500 hectares of land in Edo State for oil palm cultivation. This is towards the expansion of the refinery from 200TPD to 1,000TPD within the next 2 to 3 years.